Famous for his eponymous fashion line, which he premiered at New York's 2009 Fashion Week, he is also notable for his earlier work with designers Cynthia Rowley and Bill Blass. He was the winner of the 2010 Ecco Domani Fashion Fund Award. After earning a degree in hotel management, he studied at India's National Institute of Fashion Technology (in New Delhi) and pursued career opportunities in England and Australia before enrolling at New York City's Parsons School of Design. His celebrity clients include hip hop artist Rye Rye, U.S. First Lady Michelle Obama, French actress Marion Cotillard, and English royal Kate Middleton. 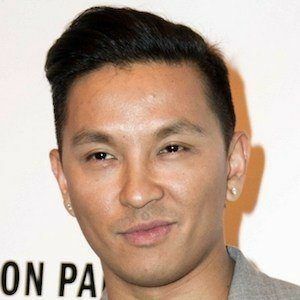 Born into a Nepalese family, he spent his early days in Singapore and the remainder of his childhood in Kathmandu, Nepal. He became a United States citizen in 2013. In the late 1990s and early 2000s, he apprenticed with American fashion designer Donna Karan.